Did I say I love credit cards? Yes, I did! I know that credit card companies love me. Almost every week, I used to receive credit card offers. I guess it is mutual! Credit cards are a great convenient way to pay for things you need. When used properly (paid in full every month) can be a convenient method of payment. There are many different cards such as rewards, cash back, low interest cards and more. In the 1800s, merchants exchanged goods through the concept of credit. In the early 1900s, oil companies and department stores issued their own proprietary cards. The first bank card (Charg-it) was introduced in 1946. It was only for the bank’s customers. Any merchant who accepted the card would have to forward an invoice to the bank to be reimbursed. Next came Diners Club, but it was still a charge card. American Express introduced a charge card in 1958. In 1959, cardholders could maintain a revolving balance. They no longer had to pay the entire balance each month; however they were subject to service charges. In 1966, the general purpose credit card was born when Bank of America franchised their BankAmericard (later became Visa). Visa and MasterCard processed the transactions and started to issue cards with banks. Where do we go from here? Who knows, but the plastic card will be around for quite a while! Now that I gave you a brief history of the credit card, why do you need one? Like many things, you do not need a credit card. Some may say, I rather use cash or a debit card. I think there are more choices than that. 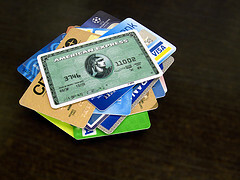 Prepaid cards are very popular for a variety of reasons. You can use them as gifts, give to your children or control your spending. I think prepaid cards are great to use with your children who are away at school. You can replenish the card and your children can learn the discipline of a budget. Uses of these cards are only limited by your imagination. I know it is used by companies and government to limit their liability for specific situations. It can be used for online, catalog or renting a card purposes too. A prepaid card can be used for emergencies. It is convenient to carry and easy to use. It is an alternative to having cash or using a regular credit card. I think this is the future of these cards and as consumers we are starting to move away from cash. Then there are store specific cards, like Victoria Secret for example. You can rack up a ton of store specific points, and then head to your Victoria Secret credit card login to see what sort of awards you have managed to accumulate. My choice is the airline credit card. I have had one for over twenty (20) years. I am buying the products and services that I need anyway and on top of it I receive a reward for shopping. In my case, I receive frequent flier miles. I accumulate those miles to take overseas trips and fly business or first class. There are other kinds of rewards such as cash back. For your purchase, you receive some (usually 1-5%) percentage of your purchase in the form of a reward annually. Over time, this can be a meaningful amount of money. I have only mentioned a few of the cards that are out there. There are as many as there are needs or wants. Credit cards are not bad, if you handle them responsibly. Use it as a convenient way to buy what you need and pay the entire balance every month. As I said, I love credit cards because it is convenient and the perks of using them. For some, credit cards bring out the worst in people, but it is not the credit cards fault. We all need to use them responsibly. If you only spend what you would have spent anyway you essentially get a small rebate. My airline credit card has helped me enjoy quite few trips overseas flying business or first class. I love credit cards, too. They are easy, provide me with rewards, are easy to track, and I can use mine 10000000 times without wracking up a single fee, which I can’t say about my debit card. I use mine for everything and then pay it back. The key is using them responsibly. I just applied for the Chase Sapphire Preferred card to use on an upcoming overseas trip we are planning. Not only does it not charge any foreign transaction fees, but it also has a $400 sign up bonus for spending $3000 in the first three months. I am going to pay for my trip with it which will take care of the $3000 right away! Using credit cards responsibly is important! The perks of some credit cards is a welcome bonus. They’re kind of like kitchen knives, right? Used to chop up vegetables for dinner, they are very useful! When used with caution, of course. Nice analogy! I think I use knives as often as I use my credit card. I love CC because of the rewards! They add up quickly and are nice to have. Absolutely, it can be cash back, frequent flier miles or a rebate. I particularly lone my frequent flier miles because I can fly business or first class. I love credit cards, but they’re a slippery slope for me. If I let the balance get over $2000, I start to fall behind because it gets to be more than I can pay off in a month. When this happens, I take a month “break” from my credit cards and switch to cash so the balance gets back to $0 before I let myself use it again. I’m not perfect with credit card spending but I’m much better than I was 3 or 4 years ago! It sounds as though you are beginning to get a handle on it. If I am running close to what I can pay each month, I can check online. You may consider that as another way to maintain control. Good luck. I hated CC for a while and banned them from my spending patterns. I had some debt and then amex delta card deleted all my airline points because my account became inactive due to me not charging anything for two years. So I stopped using them. I am now debt free from cards and have recently started using the chase freedom card to see if the cash back features are worth it. Personally, I like to accumulate frequent flier miles the best, however I have 2 cash back cards as well. You know how I feel about credit cards. I see you checked out our post this week on why I love people that don’t know how to used them properly either! It’s so basic, yet so many of us screw it up so badly. If you are going to use a credit card, you might as well use it responsibly. If you do, you can take advantage of lots of perks as evidenced in my new page (see tab). I know a lot of people that rotate between cards to maximize their cash back rewards. I just use one card for the points I earn. Then I redeem them for free flights or hotel rooms. You do need to be careful with them though because it is easy to spend too much. I only use a n airline card, cash back (Costco) and rebate (Target). The majority of my purchases are on the airline card. I think the best reward is the frequent flier miles. You still have to monitor your spending to control your finances. I pay off every month in full and use a card for everything…. but I think you spend less on a cash plan. Perhaps a cash plan works better, but it depends on the individual. I have a tendency to spend cash if I have it. Me too – free money for 30-45 days? As a liquidity tool, second to none considering I only have to ask myself before using them. We’ve got 7, and I’m type A enough to use them all in their own wheelhouse. I only use 3 of my cards and pay the balance each month. I don’t think I want to manage 7 cards. I can see your point – when use properly credit cards are a great tool. Won’t go as far as saying that I love them, though – it would be like saying ‘I really love my hammer!’ Then again, some people say this as well :). More specifically, I love the perks! I love the frequent flier miles I earn. They translate into luxurious (business or first class) airline tickets. Cash back on my credit cards reduces my expenses from 1-5%. I love all that! Interesting, I had no idea that was the history of credit cards. I still prefer debit for most things but I do love my credit cards too! My love for credit cards is what I receive from the companies for using them. The frequent flier miles and cash back. I love credit card too, and I have 4 of ’em all suited for different purposes. They not only generate extra cash reward, they also give me cushion of extra money when needed for emergency. Although I have more cards, I only use three. My primary card is to accumulate frequent flier miles, my Costco (Am Ex) accumulates cash back (1-3%) and my other cash back (Target) provides an immediate 5% discount. Although I would never call credit cards my friends, I agree that handling credit cards responsibly is paramount!